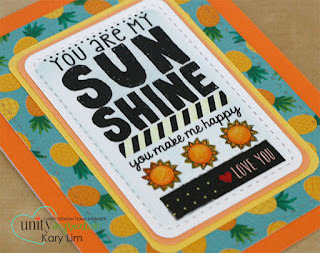 It's Kary with a new Stamp of the Week - Sun Happy. 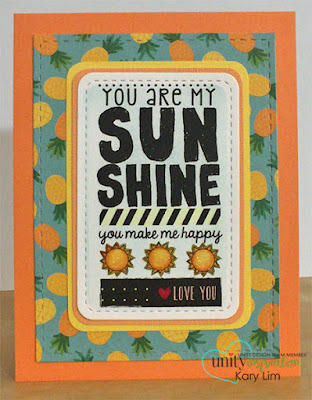 This is a cool text block which makes it so easy to fill up the card. SOTW is a weekly membership subscription with benefits. You can read all about it here. Thanks for coming by. Have a wonderful day! !